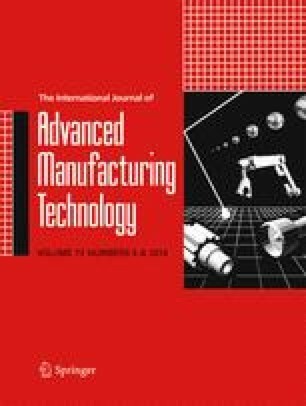 In this paper, a new grinding wheel grooving system is proposed that is able to both groove as well as re-groove a grinding wheel using a single-point diamond dressing tool. The re-grooving capability of the new system is achieved by synchronizing the grinding wheel angular position with the dressing tool translational position. This position synchronization enables the diamond dressing tip to repeatedly engage the grinding wheel at the same angular position around the wheel and then proceed to trace the existing groove pattern along the wheel surface to, for example, refresh a worn groove geometry. Furthermore, the proposed system can be mounted on either a non-CNC or a CNC conventional grinding machine and can groove and re-groove the grinding wheel without the need to remove it from the grinding wheel spindle. The novel wheel grooving system was experimentally validated by creating helically shaped circumferential grooves on the grinding wheel surface. The resulting maximum differences in groove width and depth were found to be 0.015 and 0.013 mm, respectively, for ten consecutively cut grooves. These small discrepancies are believed to be primarily due to the brittle fracture mechanism of the abrasive grits. Furthermore, the new wheel grooving system was shown to be able to create a wide range of different groove patterns on the wheel surface. A wear study was then carried out to compare the performance of both grooved and non-grooved grinding wheels. For the conditions used in this research, the results of this wear study showed that a grooved wheel not only exhibits less wear than a non-grooved wheel but also can remove approximately twice as much workpiece material before failure occurs.